Explore Washington, DC in our most exhilarating and photogenic sightseeing experience yet. Take a private tour of the capital in a unique tour vehicle. Our customized Jeep Wrangler fits up to 4 passengers and will take you on a truly unique sightseeing experience! 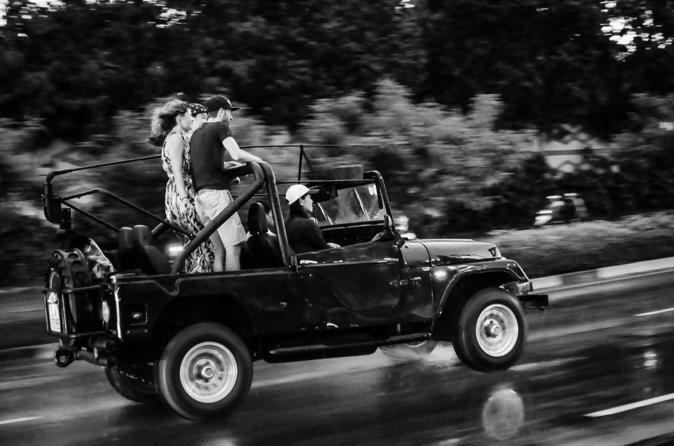 Enjoy a breezy and stunning expedition through Washington, DC's bustling streets and iconic monuments in our open-air Jeep—uniquely customized for safety, comfort, and perfect photo ops. Visit some of our nation's most treasured monuments, such as the White House, the National World War II Memorial, the Lincoln Memorial, and much more! Get accompanied by an expert local tour guide who will drive you around the capital, while providing live narrative. Customize your tour itinerary any way you desire or simply let us take you to all the must-see places in Washington, DC. Reserve your seat today and enjoy the "road to independence"!